The Indian team faces an uphill task as they take on current world champions Australia in their third round-robin fixture of the ongoing Sultan Azlan Shah Cup. The nations will lock horns on Tuesday at Ipoh, Malaysia, in what promises to be a high octane clash. The Indian contingent has failed to register a win yet in the tournament after managing one loss and a draw in their first couple of games. The Men in Blue are currently placed fourth in the six-team tournament with just one point. Australia, on the other hand, look in scintillating form as they sit on the summit of the leaderboard with two wins from as many games. India lost 2-3 and drew 1-1 against Olympic gold medallists Argentina and England in their first two games respectively, while Australia defeated the Three Lions 4-1 before getting the better of hosts Malaysia 3-1. Tuesday's fixture will thus be extremely critical for the Sardar Singh led-team as they cannot afford another loss if they wish to stay afloat in the tournament. The skipper has to lift his game significantly and inspire the youngsters in the absence of his regular teammates. The Indian team has looked like a pale shadow of its glorious past in this tournament, wasting numerous chances including as many as nine penalty corners against England in their second game. They have looked lacklustre in the opening two games but will need to pull up their socks as the Aussies, who have looked in good shape will not rest easy. Also, it would be one last attempt for the Indian players to impress upon the national selectors with the much-awaited Gold Coast Commonwealth Games a month away. 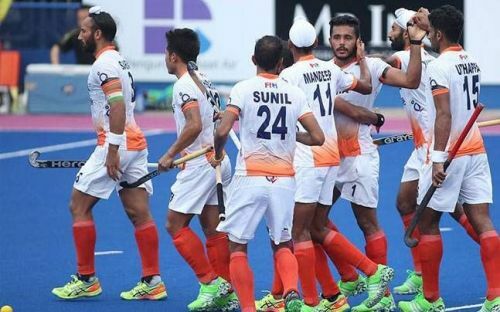 A favourable result against the world champions would brighten India's chances as they next play hosts Malaysia and minnows Ireland in their last two round-robin fixtures.